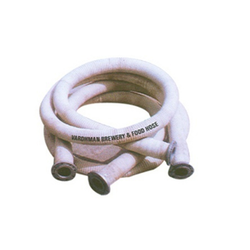 Wholesale Trader of a wide range of products which include brewery hoses. We are engaged in manufacturing, exporting and supplying a wide assortment of Brewery Hoses. Designed with utmost precision, our offered range is in compliance with set industry norms and is available with various specifications as per client’s requirements and specification. This brewery food hose is quality tested on various parameters to check its flawlessness and quality. Due to its dimensional accuracy, mechanical strength, easy installation, durable finish standards and many other features, our offered range has gained huge demand in the market. These Brewery Food Hoses are widely used for conveying milk products, dairy products, alcoholic liquids etc. These are free from any foul odor or impurities which ensures a hygienic delivery of the various products. Looking for Brewery Hoses ?